If you are interested in a Unity solution for your patient, please contact Össur Customer Service. 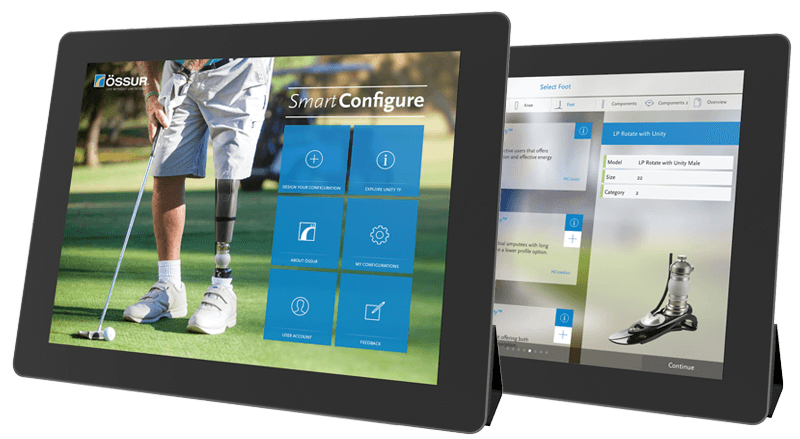 SmartConfigure is an app developed by Össur that allows prosthetists to digitally configure prosthetic solutions on an iPad. Össur Academy is committed to improving the quality of prosthetic knowledge for enhanced clinical success and patient outcomes with our products. To ensure optimal outcomes with our Unity Vacuum System, we offer a certification course which provides prosthetists with the necessary knowledge and skills to successfully fit Unity with a wide range of compatible Össur products.